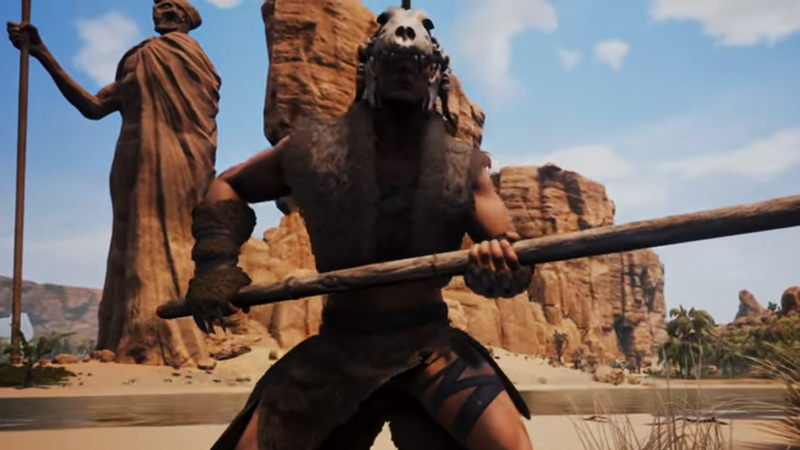 Conan Exiles has released its 22nd Update, one of the larger ones since it came out at the end of January, including a somewhat questionable server wipe to all official servers. Players of other survival MMOs might not find this all to strange, you basically cant blow your nose without expecting a server reset on ARK, its all a matter of getting the balance right and getting rid of what doesn’t. That being said the biggest part of this patch was to get rid of exploits that Funcom felt were taking away from the game experience, things like building in walls, Item duplicating, Thrall reviving, as well as a few of the annoying ones like forcing players through the world into the endless irretrievable void. They didn’t want to strip all of your progress away though, the server wipes took away inventory but left you with all your experience and Levels, and a free respec to your stats upon return, so you wont be coming back slinging muddy fists at mutant crabs to get get going again. Other than the balance of the game there are other new features in the game for you to enjoy this patch, possibly the most interesting of them is the 8 new weapons that have been added, along with the revamp to weapon strength so that they scale with levels. Along with that new equipment Dyes have been introduced, so you can colorize what you were or what gear you give your Thralls to mark your tribe or just for the hell of it. Thralls as well now have more animations for their completion of tasks, with things such as cooking, skinning and blacksmithing being represented in world. Its a great thing for immersion, as well as the new ruin feature, where unkempt and abandoned building slowly decay and eventually disappear, so you don’t have to worry about a world cluttered with half built walls and tiny newb huts from people who have moved on to bigger and better things. As always there is more available to this patch, but these are the big things you should know and might tempt you to or Back to Exiles, and to find out more to check out we’ll keep you up to date here at MMOSpotlight.com!